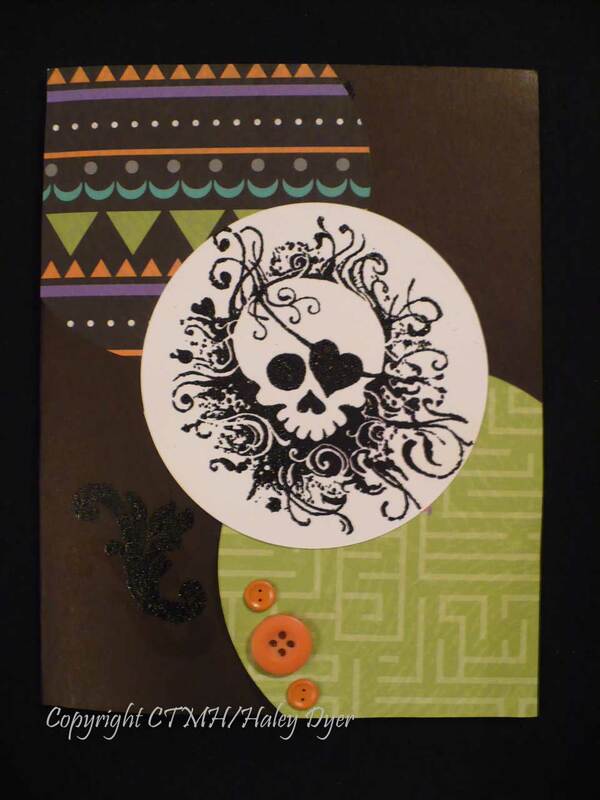 September CTMH Stamp of the Month Blog Hop: THRILLER! 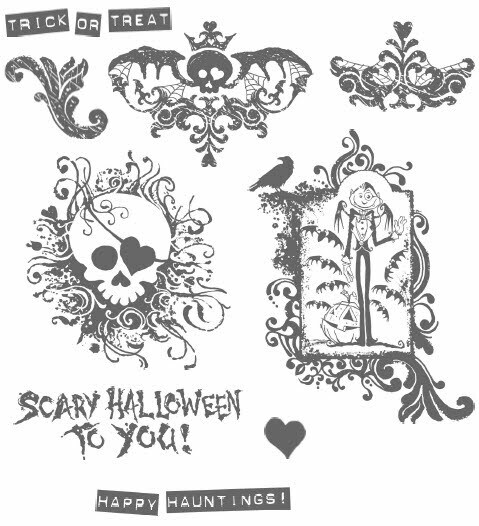 The September stamp of the month, Thriller, is totally awesome in a not-so-scary Halloween way! Skulls are all the rage now (as I'm sure you know), and this set is so fun without being too cutesy or scary. 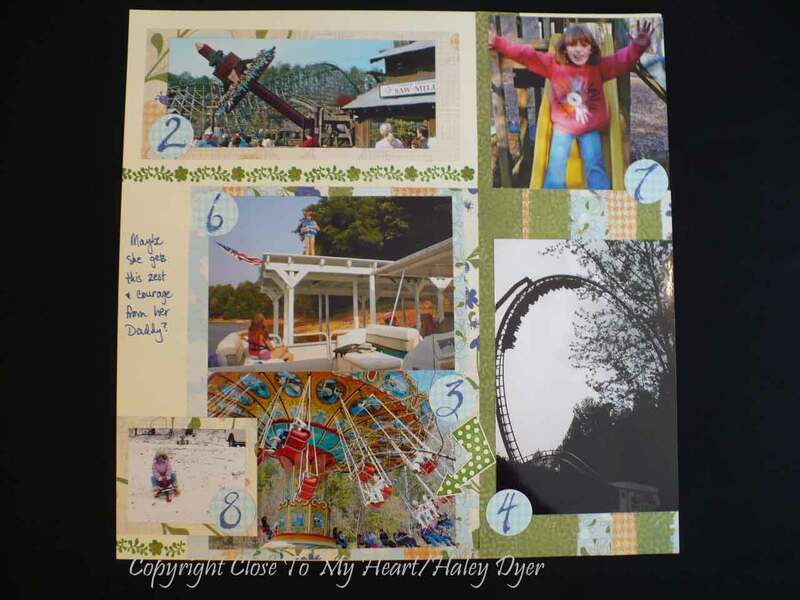 Check out the thrilling projects a group of Close To My H eart consultants have made by joining me on this month's stamp of the month blog hop. 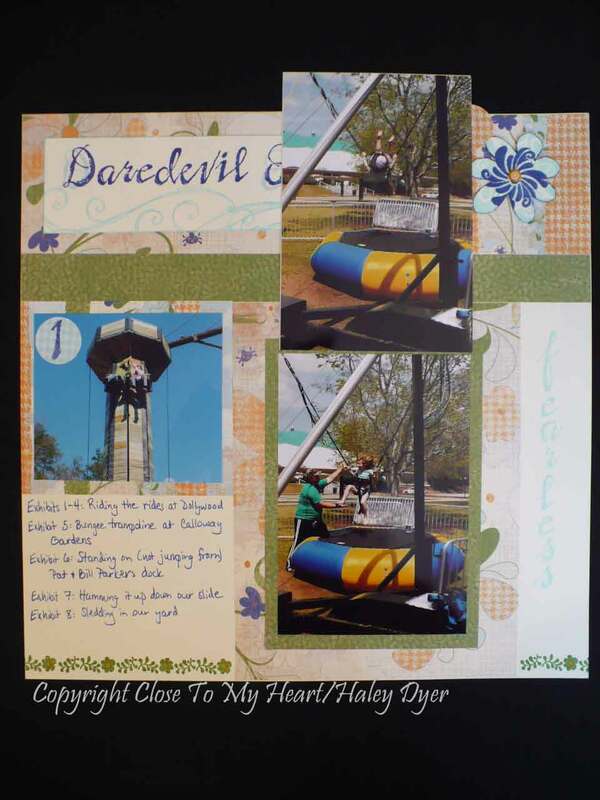 If you're already hopping along, you should be coming from my friend Shirley's blog. 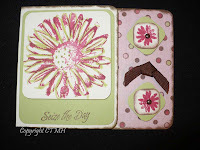 You can start here and hop along by clicking on the link to go to Jamia's blog. 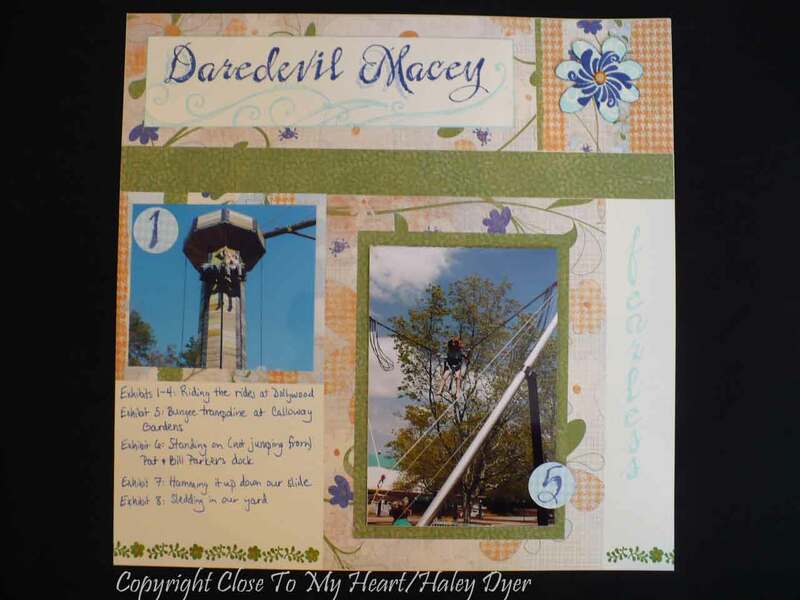 My card layout was inspired by the Wishes how-to guide sketch, "On the Ball." 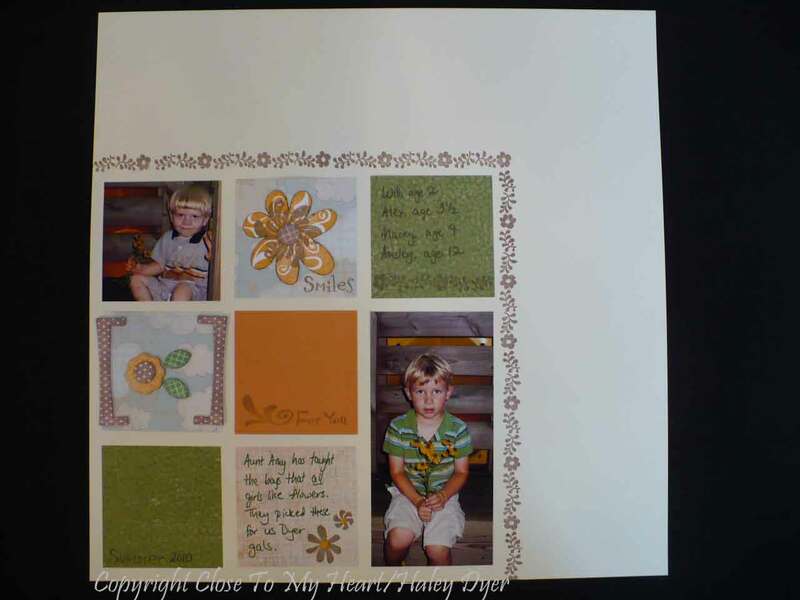 The original recipe is for a 5"x7" card, but I modified it to fit a standard-size (4.25"x5.5") side-fold card instead. 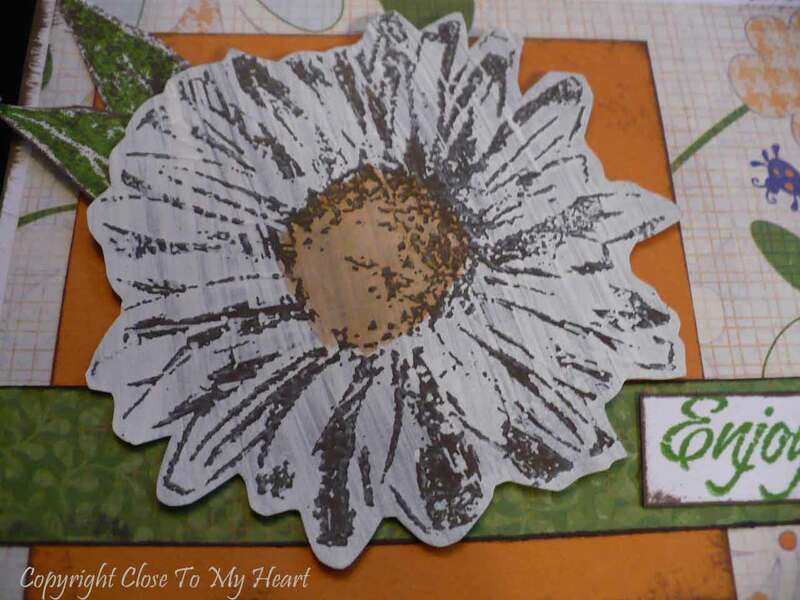 To create the focal image, I stamped the skull in black onto the White Daisy circle, then quickly sprinkled black embossing powder onto the image. After removing the excess powder, I heat set the image to give it a bit of gloss, shine, and dimension. 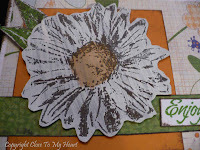 If you try to emboss without embossing ink (like I did here) be sure to begin heat-setting your powders FROM THE BACK. If you point your heat tool at the front, you will probably blow off the powder before it can melt. If you point your tool at the back (but look at the front), you will melt the powder and get that smooth, glossy shine. 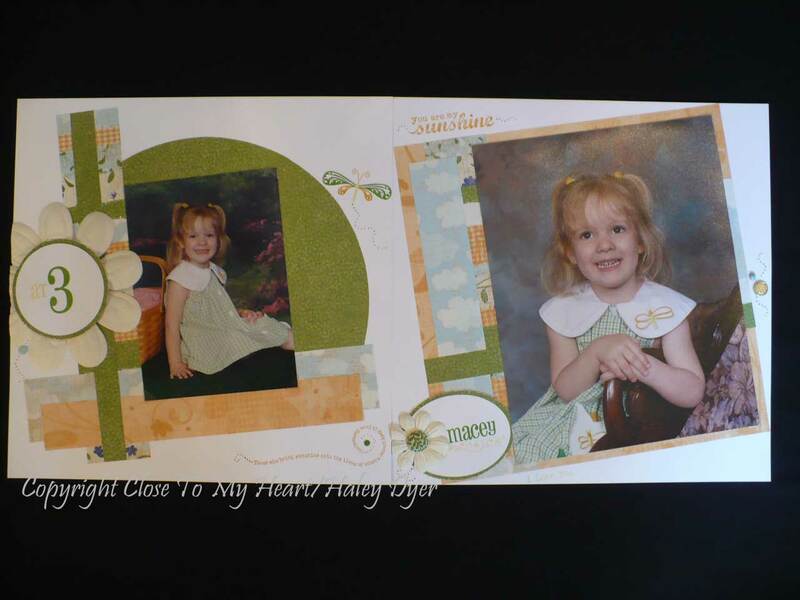 Just hold your heat tool down low, pointing up, and your stamped image above it. 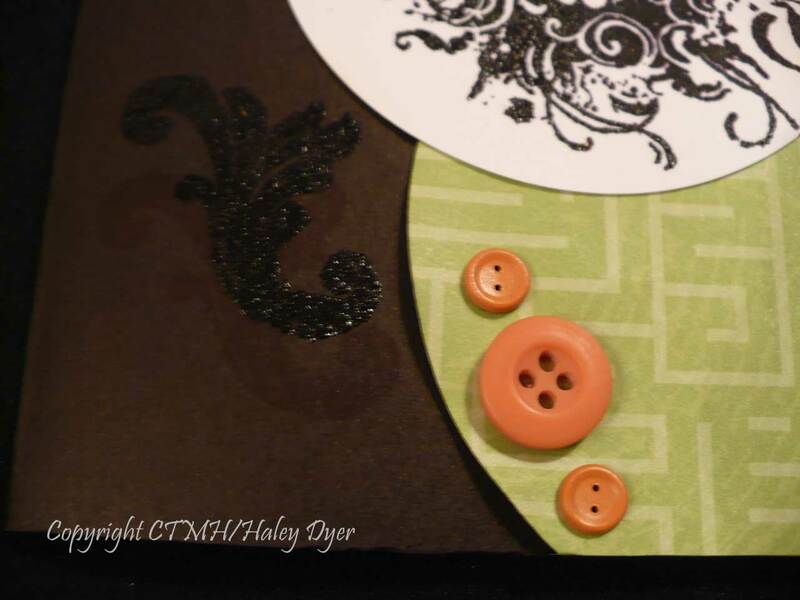 You can probably see both black flourishes that I stamped onto the card front. 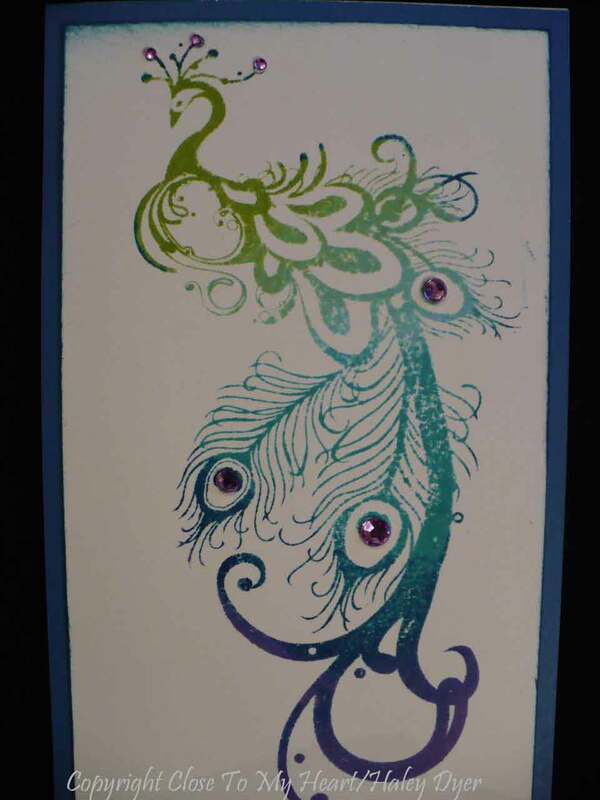 It looked a little plain, so I added the first (lower) flourish by stamping with black ink. 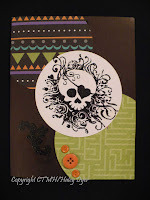 When I got up the next morning, you could hardly see the black-on-black stamping! I was disa ppointed, but necessity is the mother of invention, right? I decided to stamp the flourish again and emboss it to make a "shadow" effect. Don't you love those new Sunset Mini-Medleys? The button in the middle of my cluster and the two small "button" brads both came from this adorable collection of accents. 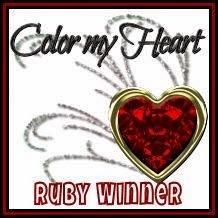 You will love all matching the embellies you get for only $4.95! Thanks for stopping by and reading this long post! Let me know if you have questions about anything. I do read the comments and respond to any questions you might have. 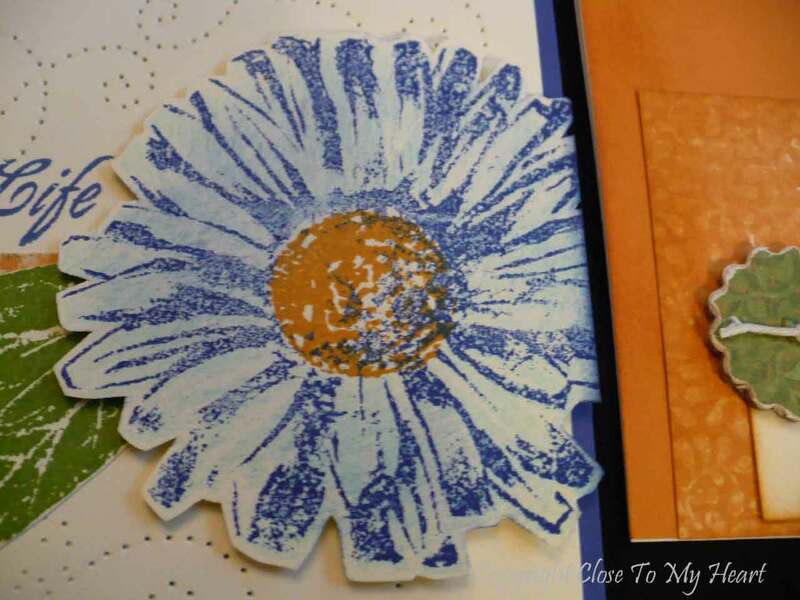 Now hop along to Jamia's blog for another thrilling project! 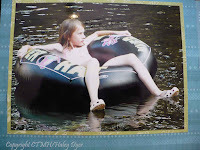 Matthewsmommy, please email me at haleyd@myctmh.com so that I can get your prize in the mail! Thanks to everyone who played along! Scroll down for the links to the video tutorials if you'd like to learn how to make your own button bracelet. 2. If you'd like to add glitter, apply a bit of Stardust Glitz Gel to the back side of the button and let dry. 3. Apply dots of Liquid Glass to the back of the button. Adhere to the paper (decorative side up). Don't worry if some of the adhesive oozes out. Just be sure to press the paper tightly against the button back. 4. Use a piercing tool to find your button holes. From the back, push a toothpick through the holes and ream out the holes. Any excess paper should stick to the inside of the button hole. Let dry. 5. 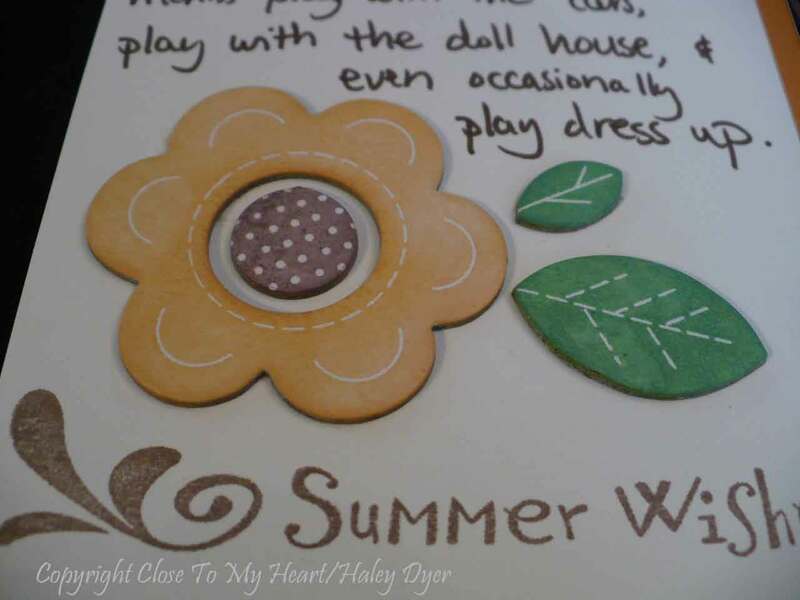 Trim the paper with scissors, following the outline of the button. 6. 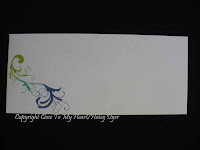 Apply Liquid Glass to the back of the paper to seal it. Be sure the edges are sealed. Let dry. Enjoy your buttons! These make adorable accents on cards, layouts, etc. If you'd like to learn how to string them together to make a bracelet, be sure to scroll down to find my two video tutorials. Finally, for your viewing pleasure, here's our little kitten trying to claim the button bracelet as his own. Sorry, Remy, but it's already spoken for! Are these two cards fun or what? 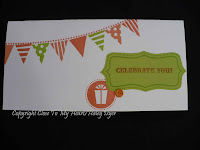 They use the NEW Party Pennants stamp set in two different NEW color schemes. 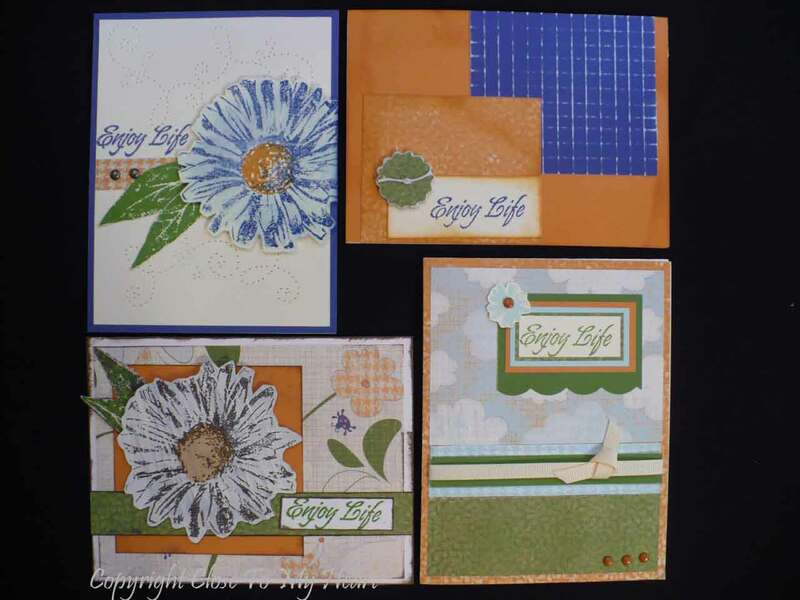 The first card uses Sunny Yellow, Sky, Lagoon, and Pear inks (plus Lagoon Mini Medley accents), while the color combo for the second card was taken straight from page 52-53 of the NEW Idea Book: Pear, Sunset, and Smoothie. Which card do you prefer and why? Since they are both 3"x6" card with basically the same exact design, it really comes down to the colors. Now for the color theory. 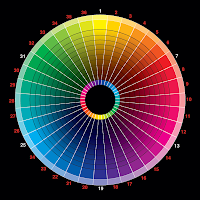 Can you picture a color wheel? Here's an image I found to share with you. The first card uses an analogous color scheme, meaning that the colors are next to each other on the color wheel (blue - green -yellow). Remember how yellow and blue make green? Those are analogous colors. The second card is actually a complimentary color scheme, because red and green are opposite each other on the color wheel. Now you may be thinking, "where's the red?" but truly Smoothie and Sunset are shades of red. Smoothie is more pink and Sunset is more orange, but they do fall in the red section. Which color scheme do you prefer? Try your own analogous or complimentary color scheme (or feel free to copy mine). Did you enjoy Creative University- Online? I certainly did! You can still watch all the videos- just not live- by clicking on the link in my sidebar at right. 1. Follow my blog (or let me know in your comment you're already a follower). 2. Leave me a comment to let me know what type of online class you'd like to see me teach. The random winner will be posted sometime on 8/31. Good luck! Follow-Up Video Posted Now Too! If you saw my first video about the button bracelet, you might be a little confused about the closure to put it on and keep it on, so I created a follow-up video (on my channel). You can access it directly right HERE, and it's only about 5.5 minutes. Thanks for looking! This afternoon teaching LIVE online at Creative University was so much fun! If you watched it live, thank you so much for joining in! If you want to learn how to make a button bracelet, be sure to check it out (link below). (Part of it will be so silly because I am reading the chat comments and responding to them- you won't be able to see what was written and only hear my silly comments.) It was tons of fun, and I hope to record some videos on my own Ustream channel: InkyScrapper. If you'd like to see my first button bracelet, click HERE and then scroll down in that post. 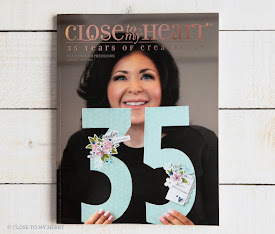 The upcoming Autumn/Winter Close To My Heart Idea Book will be released on Wednesday, September 1 (I am so excited! ), so 40 Close To My Heart consultants are celebrating by hosting a blog hop to whet yo ur appetite for the new products you'll find in it! 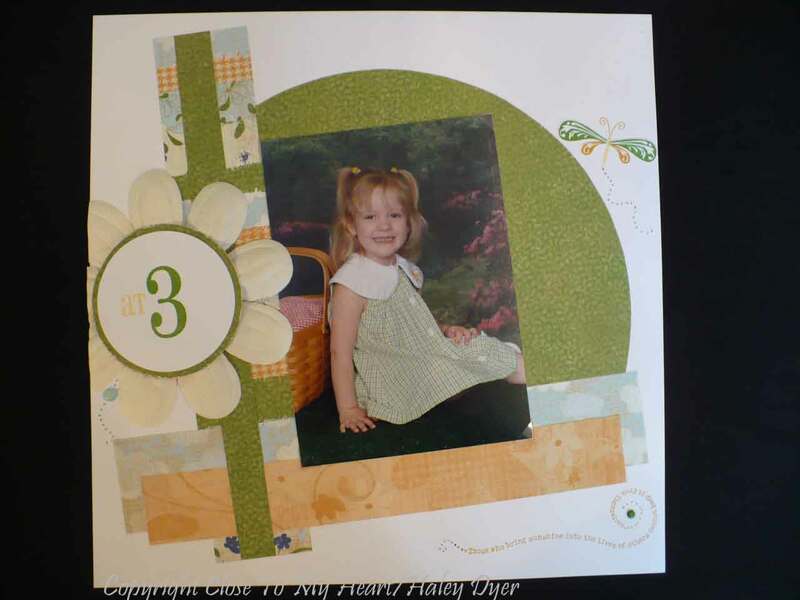 (If you're coming from Cindy L.'s Papers, Pads, and Pictures blog then you're on the right path. 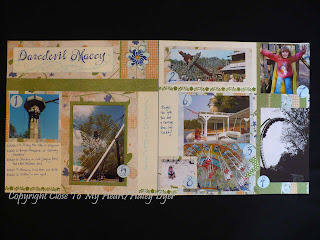 Head to Paper Creations by Wendy after scrolling down through my post.) If you're just starting out, grab something to drink and a pad and pen (to write down all the things you have to have! 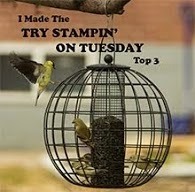 ), enjoy my post, and click the link at the end to hop to the next blog. 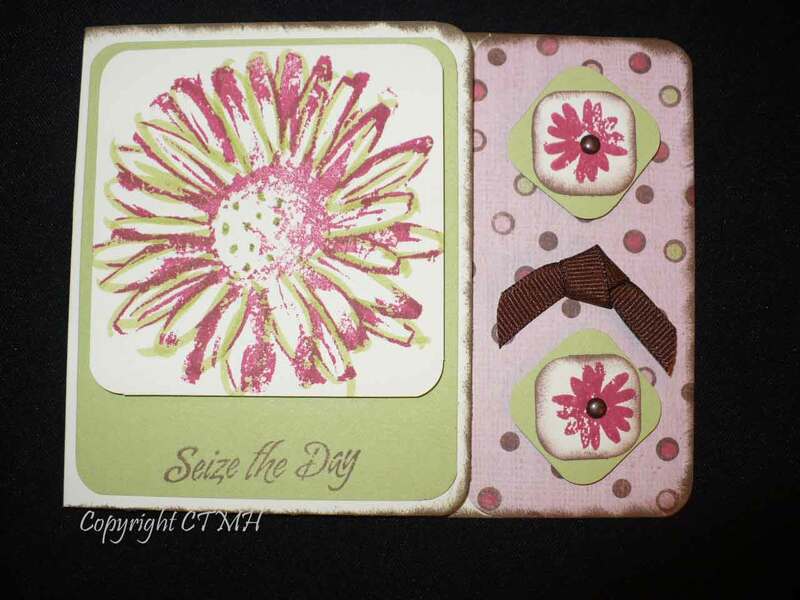 I mad e this card for my downline (the wonderful gals who signed up under me as CTMH consultants) following the 8"x3.5" card sketch,"Lower Layers," from the Wishes how-to guide. 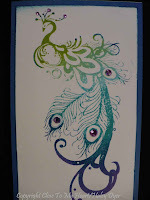 I used the new colors Pear, Sky, Lagoon, Pacifica, and Gypsy to ink up this beautiful bird, the saying, etc. 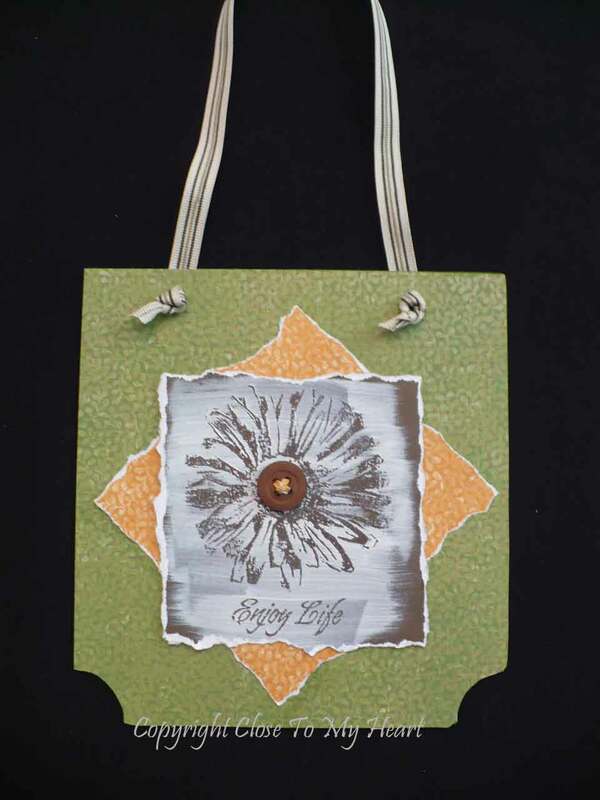 Each piece was ink distressed in the matching color or Pacifica. I used a little Lagoon ribbon and Purple Sparkles to dress up this beauty. 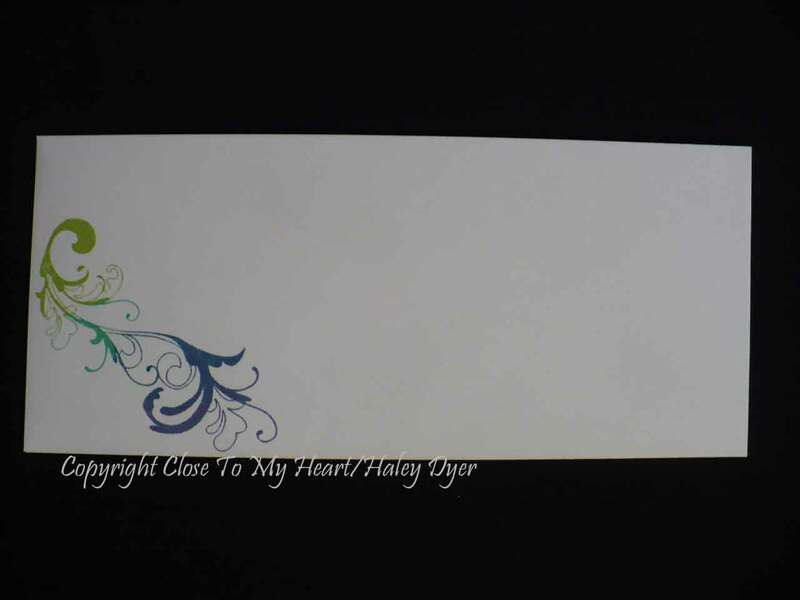 Do you embellish your envelopes and/or the insides of your cards? 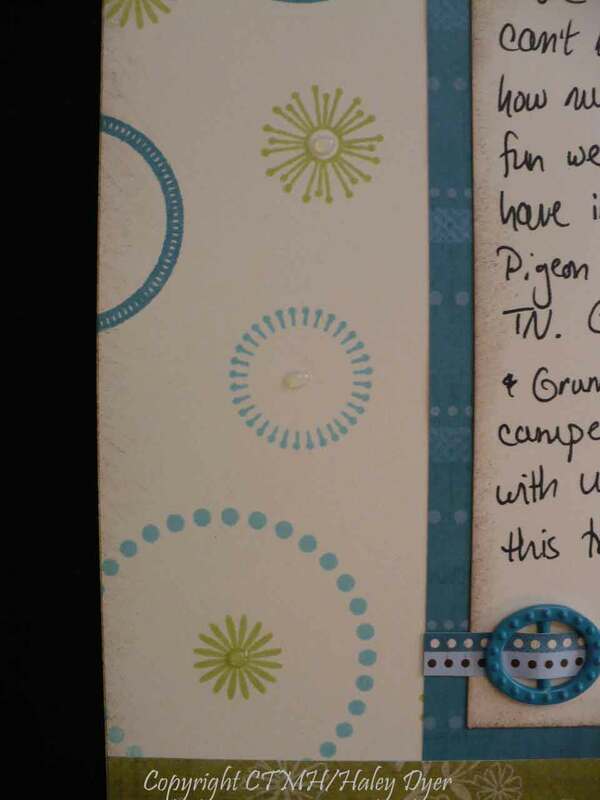 These simple steps can really delight the recipient! Going that extra mile won't take you much time at all. 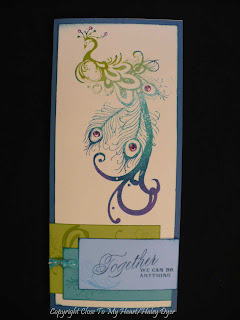 For this card, I just inked up the swirl with the different inks (cleaning between each stamping) and stamped it on the inside of the card and the front of the envelope. (I forgot to take a picture of the inside of the card but you get the idea with the envelope.) 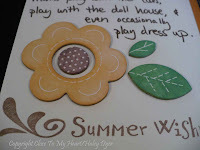 I even used my Sk y and Pacifica markers for the addresses. 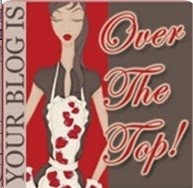 Thanks so much for taking the time to visit my blog! 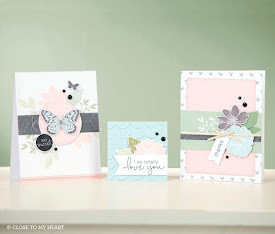 Now hop on over to Paper Creations by Wendy for another sneak peek! Be sure to visit all the consultants' blogs. You won't want to miss a thing! 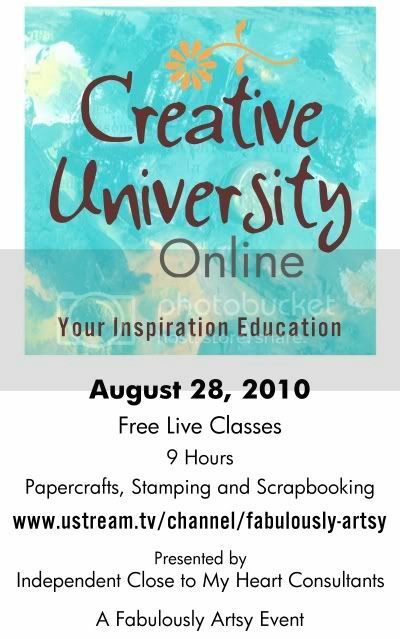 Also, don't forget about Creative University- Online tomorrow! Check out my sidebar or scroll down for a recent post with more info. Have a creative weekend! 3. Earn the option to purchase one (or more) half-off item(s) sooner than ever! When party sales reach only $250, earn 1 half-off item. 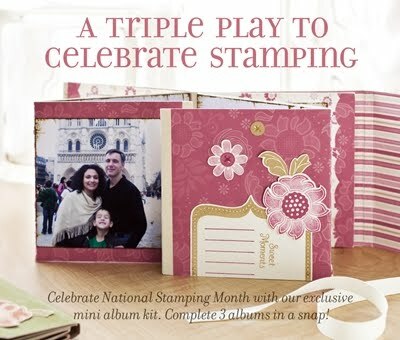 It can be one of the exclusive hostess-only collections or any other one item in the Idea Book (excluding stamps of the month and any current special offer). You earn 2 half-off items at $450, three at $650, etc. 1. Have a gathering in your home (or other location) with your friends. We'll create a fun project while learning tips, techniques, and tricks of the trade. 2. Have a gathering in MY home (that means no cleaning for you!) for you and your friends. We'll create a fun project while learning tips, techniques, and tricks of the trade. 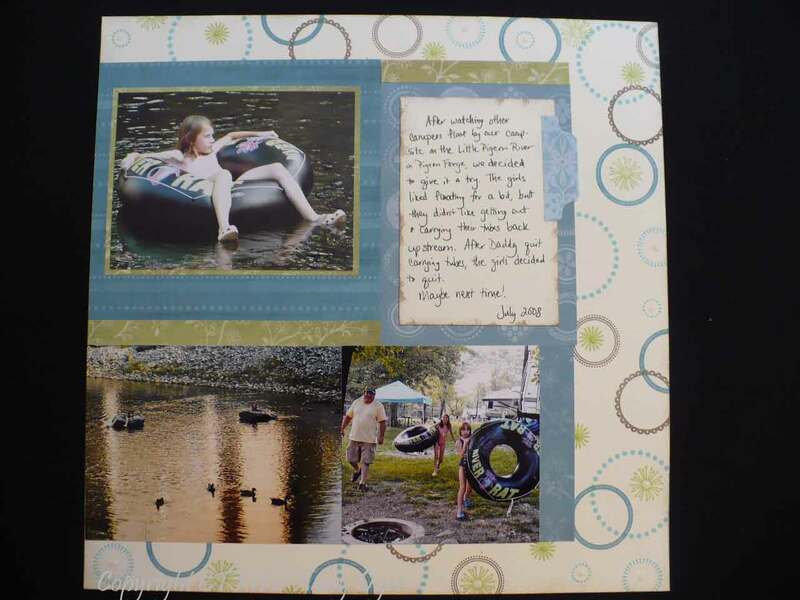 "Scrapbooking isn't about scraps of paper and photos. 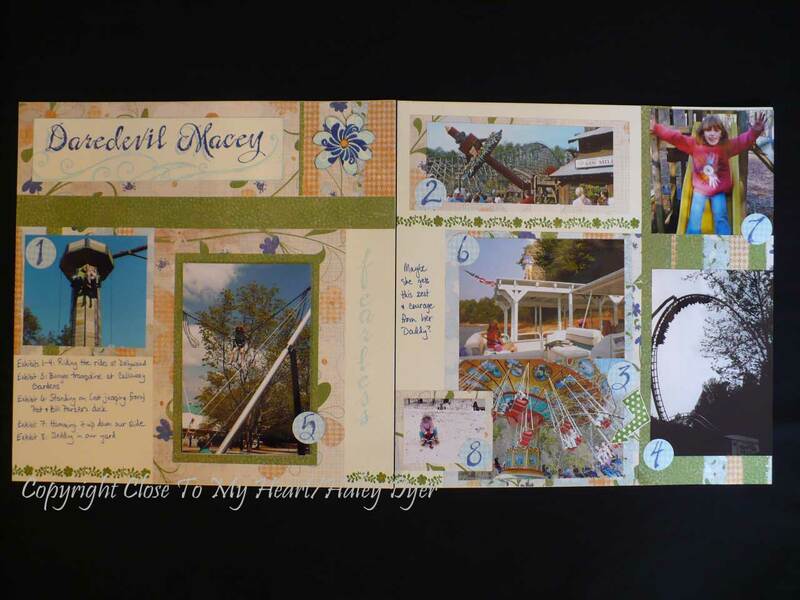 Scrapbooking is about scraps of life - yours and those special to you." *We got to launch our pontoon boat and go for a cruise this weekend! *My Open House went well Tuesday evening. 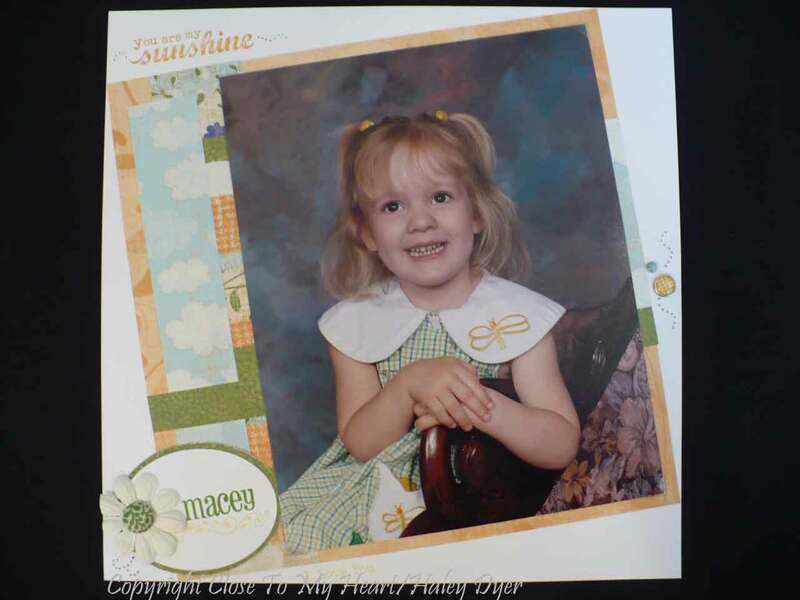 *Macey's Open House is tomorrow evening (along with cross country practice). *Ansley loved running cross country for the first time but isn't happy her sister went (and liked it) too. *Ansley will get to be a teen leader at the 4-H dance Friday night, and Macey gets to go for the first time as a 4-Her, so it looks like *date night* (or at least date dinner?) for Logan and me! *The girls still can't agree on a name for our adorable kitten. At least Franklin our big cat is tolerating him better. There's still a bit of hissing and spitting, but they've gotten almost nose-to-nose. *We'll get to sign up for dance Saturday. I think all 3 of us girls will dance again this year. *I'm looking forward to teaching online Saturday afternoon at CU-OL but have to figure out how to get all the techie stuff set up (and exactly what it is I'll be teaching!). 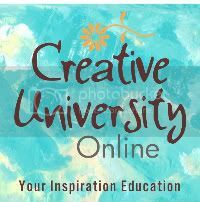 Coming Soon... Creative University- Online! Mark your calendars, it's less than a week away! The first Creative University - ONLINE! 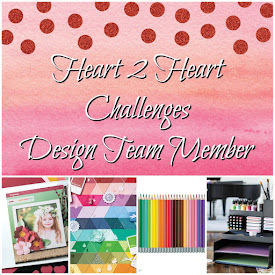 Nine hours of free classes, presented by Close to My Heart consultants to kick off the new Autumn/Winter Idea Book and Catalog. The Fabulously Artsy Tresa Black has assembled a top-notch team of co-hosts for this event, with a variety of demonstrations to showcase new products from Close to My Heart. Classes begin on the hour, so mark your calendars and set your alarms NOW! The event is on Tresa's Ustream channel. Sign up (it's free!) to chat live with teachers and other viewers. Ustream account is not necessary to view the classes, but if you'd like to chat, you need to sign up. Help promote this event: grab a badge from the sidebar! Besides the colors of the Cherry-O paper pack, I love how this card opens: the left green panel opens and the pink polka dotted part on the right is part of the card base. I hope that makes sense! When you first look at it, you think that everything you're looking at is on the card front, but the card front is shorter than the base. Way cute! 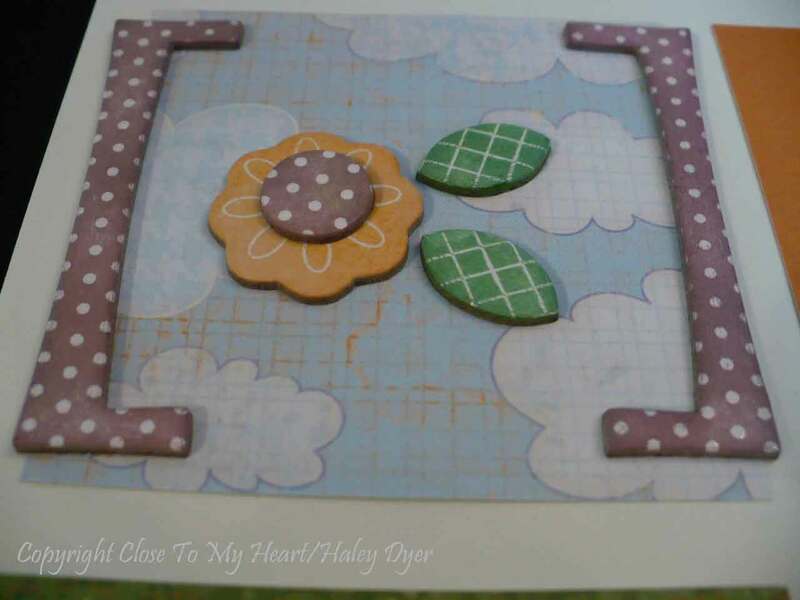 Yesterday was our Heirloom/Recipe scrapbook layout class, and I can't wait to share the results with you. We had fun learning how to make all kinds of flowers to embellish our projects. Logan got our pontoon boat fixed and put into the water Saturday (after all the rain), so we went out for our first family voyage. I even got to drive! It was so nice to be out on the cool water. Have a great week! I will try to post often but as busy as we'll be I make no guarantees. Where has this month gone? This week at least has been a blur- it was our first full week of school. It went well for all three of us, but of course we're still adjusting to getting up (and going t o bed) early, not having all day to do things, etc. This next week will be incredibly busy as we have something every single day Sunday through Saturday. Yikes! Hopefully I can remember to take my vitamins because I'll need them! 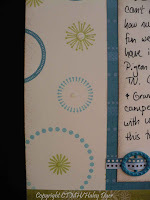 Can you see the sheen and shine of the clear embossing? Remember, the August stamp of the month, Something Splendid, is only available until the end of the month! Believe it or not, I still have Splendor paper left, but I am working my way through it! (This is the 3rd layout I've made with my paper pack.) 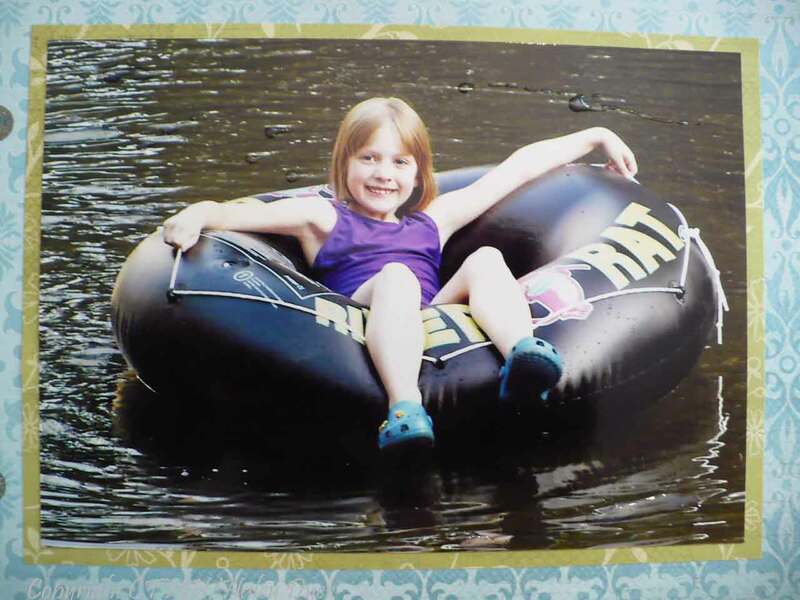 Since my baby's 9, I've obviously had these pictures for a long time. (Wasn't she adorable?) This paper really inspired me to get busy with these pictures. 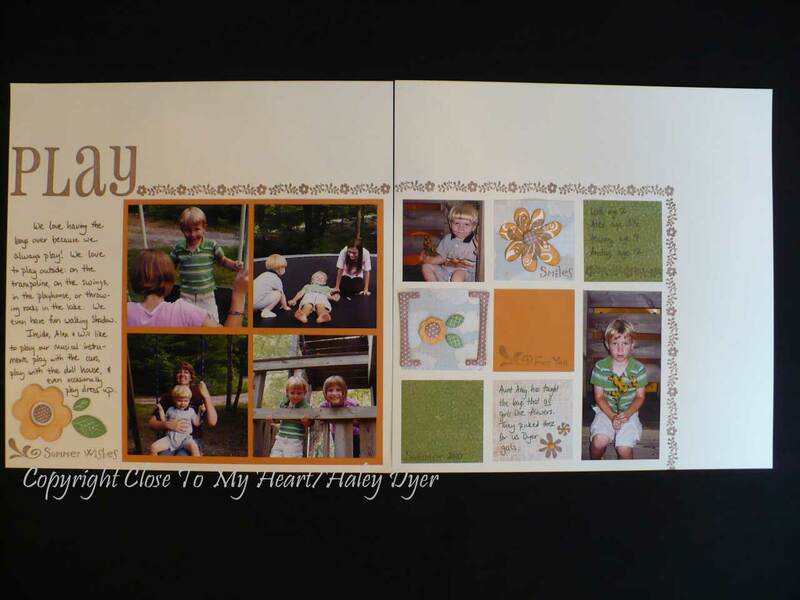 Having the new Magic how-to scrapbooking guide (available 9/1!) made this layout come together so nicely! Do you like it? You are going to LOVE the new Magic how-to book!!! This particular sketch is called "On With the Show," and though it called for three 4"x6" photos, I was able to tweak it to fit my two (5"x7" and 8"x10"). That is one thing about our guides: you can follow them exactly, or you can customize them for your photos or project. Let me know if you'd like to reserve a copy of Magic now! You will LOVE it! I can't wait to share it with you. 1. Stamp your image with Versamark or e mbossing ink. 2. 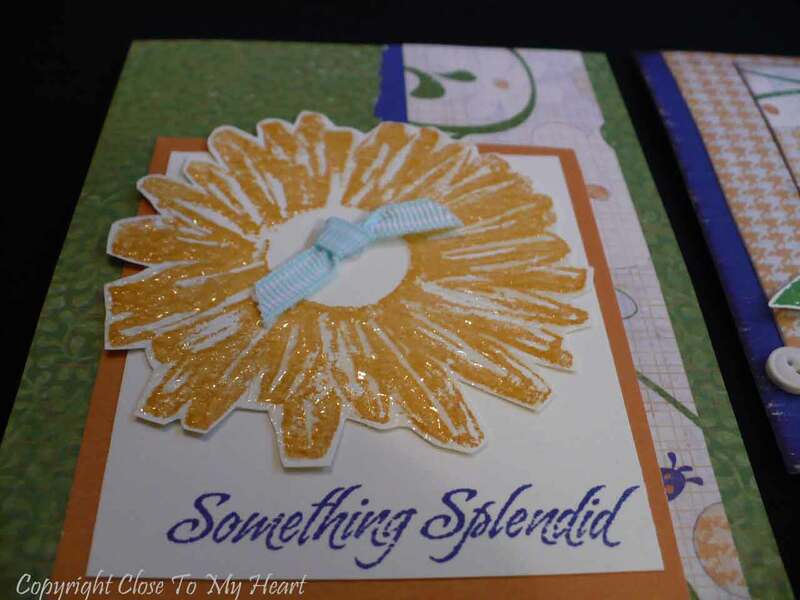 Sprinkle on clear embossing powder and dump off excess. 3. Use a heat tool to melt the powder. 4. Paint over the image with acrylic paint. (Do NOT dilute the paint with reinker. If you'd like color, use that color paint.) It's nice to let your brush strokes show. 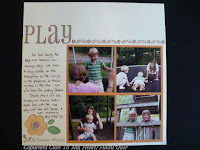 Because the events and stories behind the photos were random, punching out circles of B&T paper and numbering them helped me identify what's going on in each picture in the journaling box. This allowed me to save space and add more pictures. Do you like the peek at the NEW Old World Alphabet stamp set? It will be available 9/1! At my recent stamp camp, we completed the first layout of the Splendor Workshop on the Go kit (only available until the end of the month!). Here is my version. 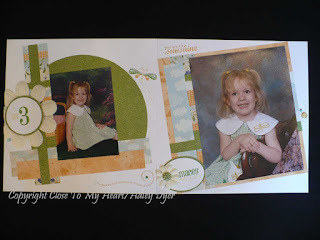 I couldn't believe how well these pictures worked with this layout! 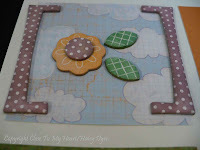 Here is a close up of the Irresistibles chipboard shapes that come with the kit (but are also available separately). Do you see the white polka dots, leaf veins, and flower designs? 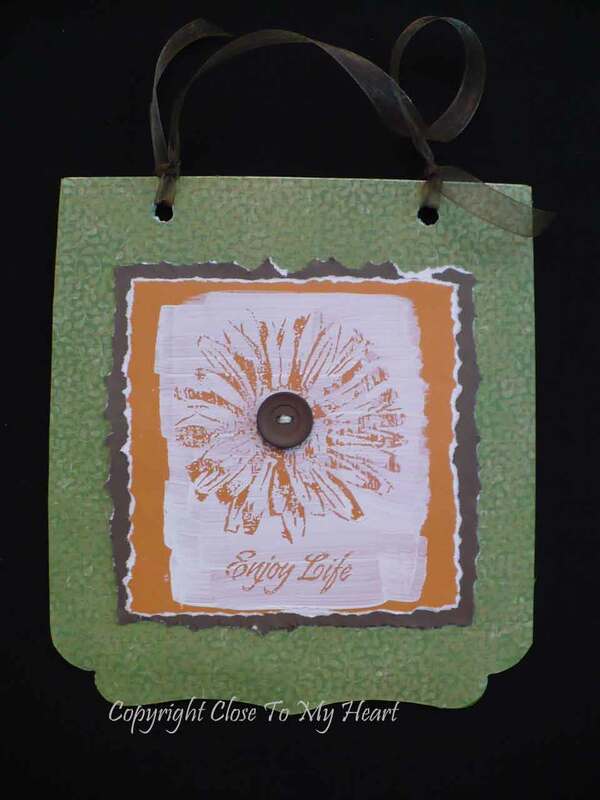 Those are imprinted directly onto the chipboard itself. 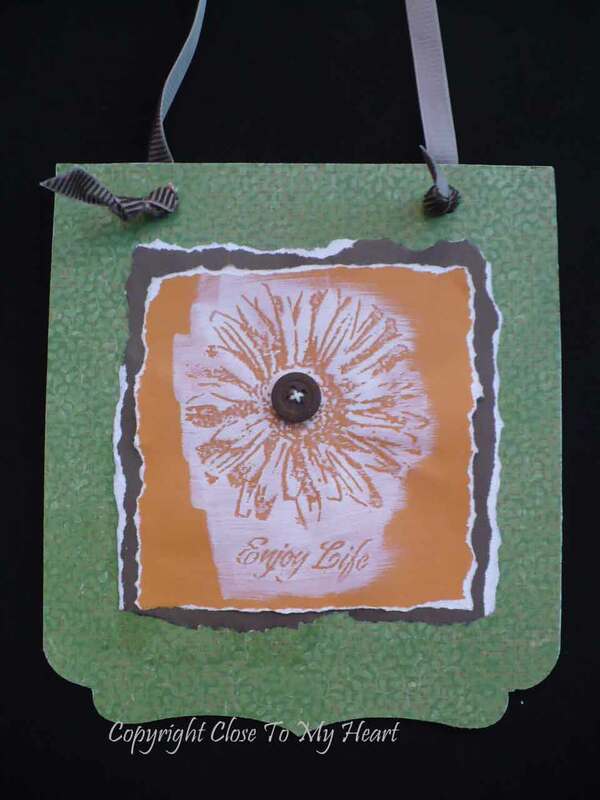 Just sponge color onto the white chipboard, and the printed pattern resists the ink. So easy and effective! P.S. 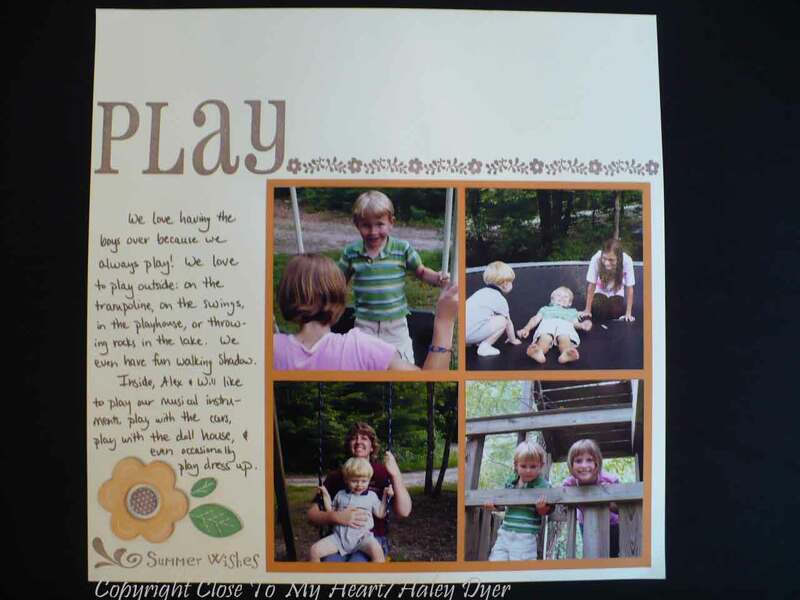 The Summer 2010 Workshops on the Go (Splendor, shown here; Passages; Cherry-O; and Zippidee) are only available until the end of this month! These great kits are only $29.95 and include the paper pack, an exclusive stamp set, an accessory, and a full-color instructional guide. National Stamping Month "Triple Play"
1) Purchase the kit outright for $29.95. The Triple Play offer is good on Gathering, Individual, and EZ Invite® orders. 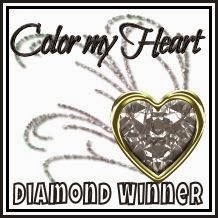 Customers may also order the kit on my MyCTMH® website and through EZ Invite online shopping. The kit is available while supplies last. 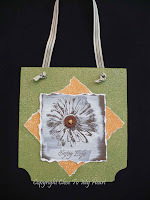 Hostesses who hold a qualifying Home Gathering with minimum sales of $300 will receive a Triple Play mini album kit FREE. New Consultants who enroll during the month of September will receive the Triple Play mini album kit FREE as part of their New Consultant Kit. No additional tax or shipping/handling will be charged. My layout uses a few simple techniques. 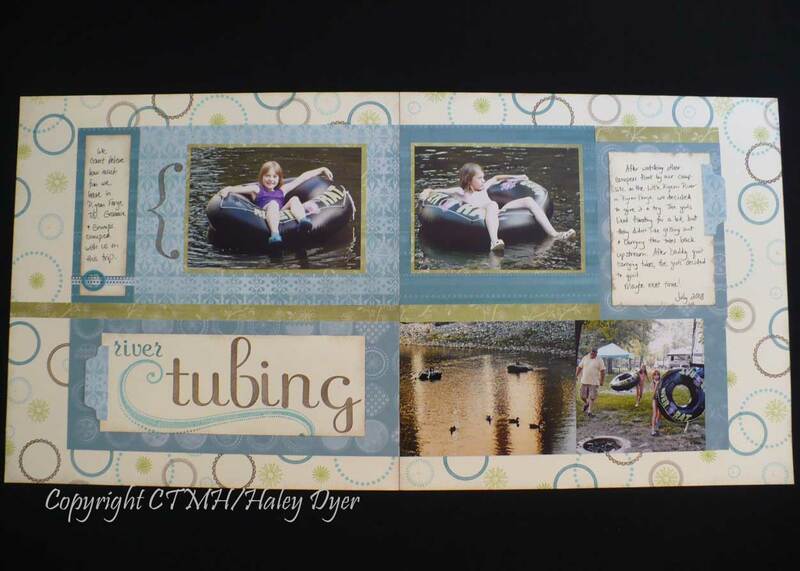 Since the theme was tubing, I used several circular stamp images to mimic the tubes without (hopefully) going overboard. 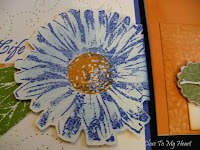 I stamped them in a random pattern (AKA random stamping), overlapping some of them as I stamped. 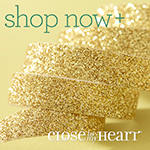 To make it even easier (I'm all about Close To My Heart's motto "faster, simpler, easier! 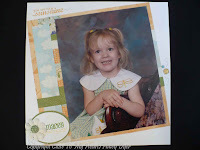 "), I also "cluster stamped," meaning that I placed several stamps on one block to stamp a few images at once. 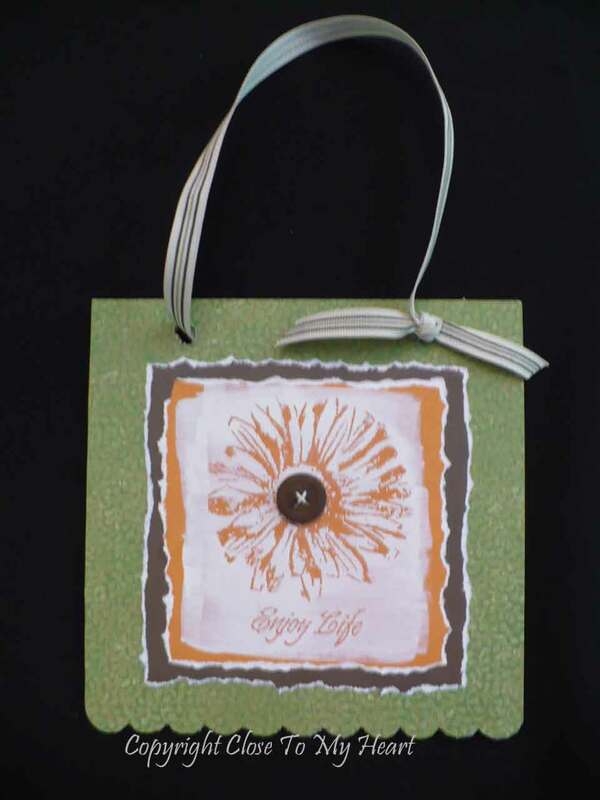 A little Cocoa ink sponged on the edges of the Colonial White card stock softens the edges too. 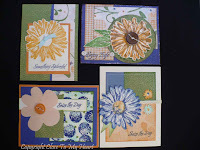 Finally, to add more interest to my stamping, I overlapped some of the circles. If you look really closely, I highlighted the centers of the Sweet Leaf "bursts" and the centers of the smallest Crystal Blue circles with dots of Liquid Glass. Also, can you see the Liquid Glass I added to the water photos? It is subtle but effective. 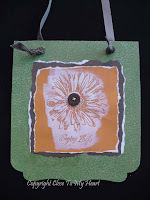 This layout is based on the sketch from the Moon Doggie Workshop on the Go (last fall), but I used the Emporium paper pack and the "gallon-quart-pint" rule for my color scheme. If you look at my layout, what color is used the most? That is the "gallon" color. The "quart" color is used less than the main one, and the "pint" color is used the least of all. (I did use Colonial White as my base too, but I'm not really counting that as a color here.) So can you guess my "gallon-quart-pint" colors? My "gallon" color is blue, and I used two shades: Twilight and Crystal Blue. Sweet Leaf is my "quart" color, with a "pint" of Cocoa thrown in for good measure. If you've read this far, you get extra credit for attending my "class. ":) Be sure to hop to the head of the class by heading next to Toni's blog to check out her technique. You get an A+ for today's lesson! 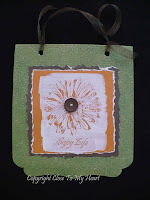 My Washer Pendants Featured at Craft Gossip! What a surprise to receive an email from my mom, forwarded from a friend of hers (Thanks, Dianne! ), about the Craft Gossip newsletter. 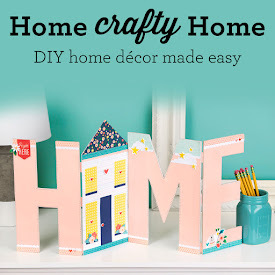 They have some pretty cool crafts and projects featured over there. 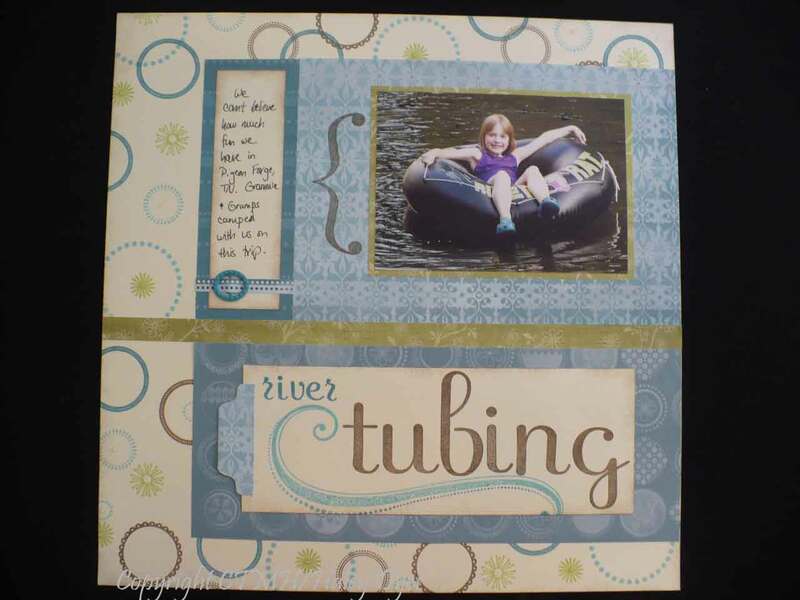 Click HERE to see what they had to say about my tutorial and then browse their site. 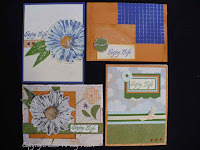 Then, I saw that there are two exclusive "paper packs" that are only available in Studio J. One is more for Easter, and the other screams summer. 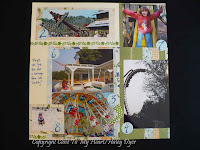 I had to upload a few of our lake photos to make a "Splash Zone" layout too! 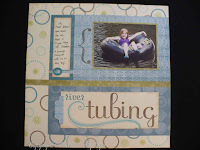 Some really exciting perks are coming to Studio J in September, so I am going to wait until then to print my layouts. I am really excited about recording our memories and preserving our photos while they are fresh. Try it out yourself right HERE. There's no charge until you print (or purchase your JPG to print somewhere else). Check out this beautiful thank-you card I received recently for donating items to the Operation Smile Silent Auction. I also received this adorable exclusive stamp set that you can't buy. It can only be given to you by Jeanette Lynton (Close To My Heart's founder and CEO). She even signed it!